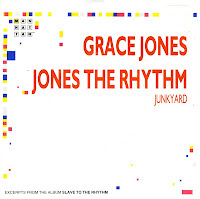 I wonder if there will ever be a deluxe re-release of Grace Jones' classic album 'Slave to the rhythm'. There's a plethora of remixes of the title track, but there aren't that many other bonus tracks. It was quite interesting to find this single, the second one taken from the album. 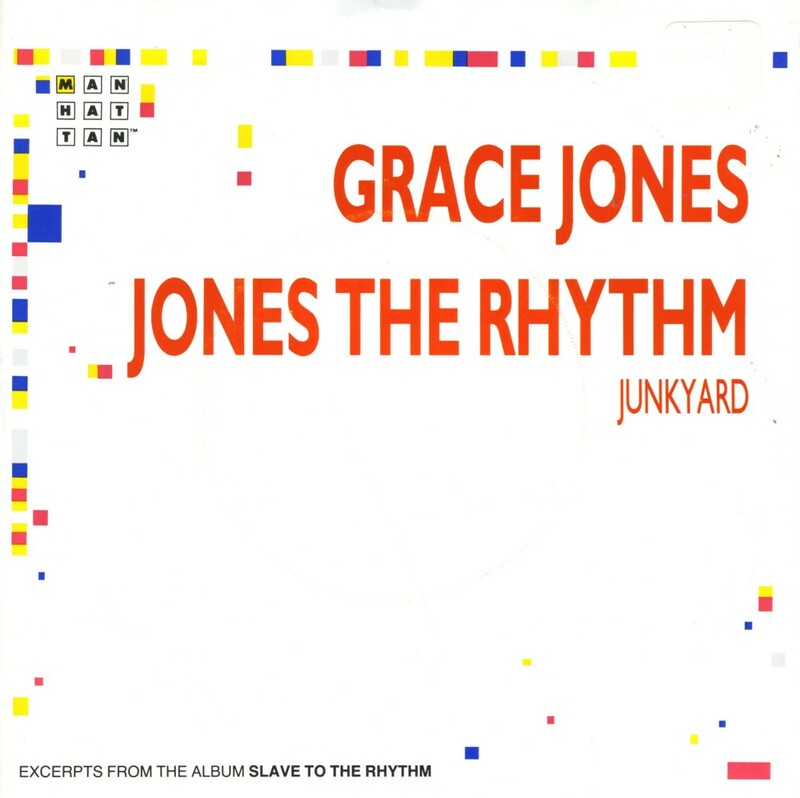 'Jones the rhythm' is a less familiar single from 'Slave to the rhythm', primarily because it didn't chart. It features an edit of the album version, as well as a very interesting instrumental B-side track. 'Junkyard' is constructed in the same style as the album, and as such could easily be tacked on to the track listing. I do hope it happens someday. I agree with you. A nice remastered two disc set would be great. I can recommend you the album. It's very good as well.